Links between Fantasy and Heavy Metal music have existed for some times: countless bands have been inspired by Fantasy universe for their lyrics, sometimes using a place or character's name. However concept-albums based on a novel are less common. Blind Guardian has successfully done it. 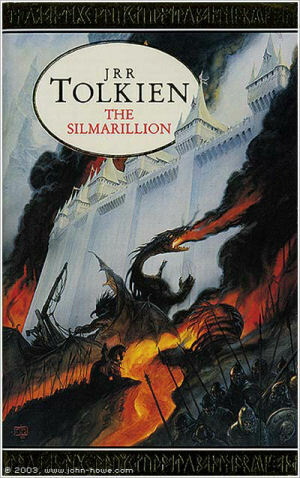 They have released an album based on the story of the Fantasy masterpiece The Silmarillion. Nightfall In Middle-Earth is an ambitious concept-album and is considered their best by many fans and generally a major metal album. Some risks were present: using a long and complex story that spread over several thousand of years, alienating the Tolkien's fans if the adaptation by Blind Guardian did not convince them. All those risks disapeared after the first listen of the album. Nightfall In Middle-Earth is a musical masterpiece, there is no counter argument against that. The goal of this short article is to link the songs and Tolkien novel. What part of the text Blind Guardian used? How do you recognise them? This article does not have any musical analysis. It is simply a deciphering of the lyrics (and sometimes atmosphere) to explain the story as it is in the disc. All the quotes are taken from the pocket edition of the Silmarillion, HarperCollins, 1999. And Then There Was Silence concludes the Album A Night At The Opera. Lengthy songs are seldom in Blind Guardian albums. However the band does not lost its skills, talent and imagination when writing a song in an unusual format for them. 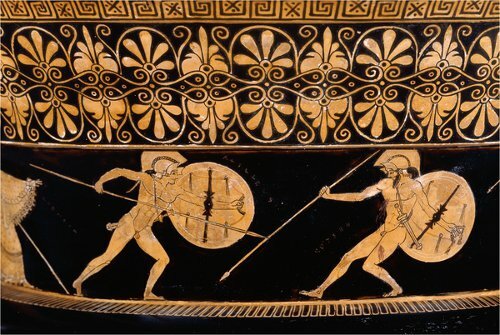 And Then There Was Silence is about an epic event that goes hand in hand with the music: the Troy war. The lyrics are complex and dense. The song tells the fall of Troy but not in a chronological way and some of the lyrics are very allusive. It is necessary to examine the text closely to really understand and enjoy this song. The sources for the comments are Homer's Iliad and "Le dictionnaire mythologique" by Pierre Grimal.